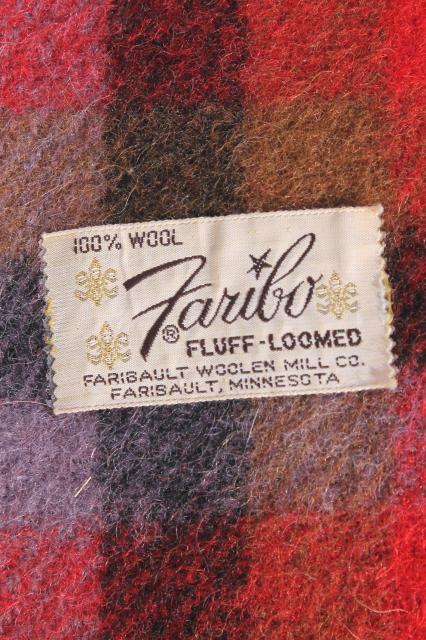 We love this vintage Faribault wool convertible poncho blanket... it's a 50" x 50" throw with a slit near the middle to fit over the head. 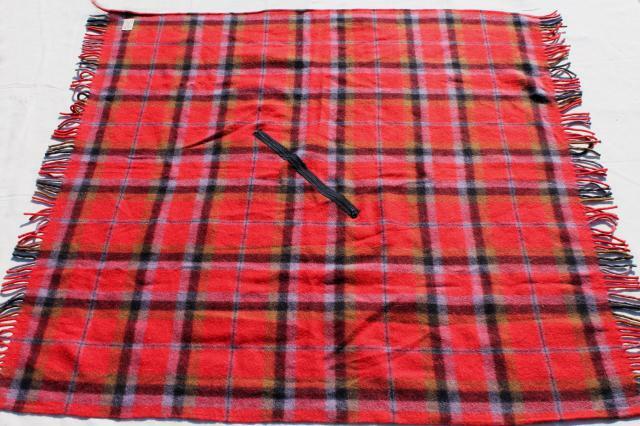 This really is a blanket to wear! 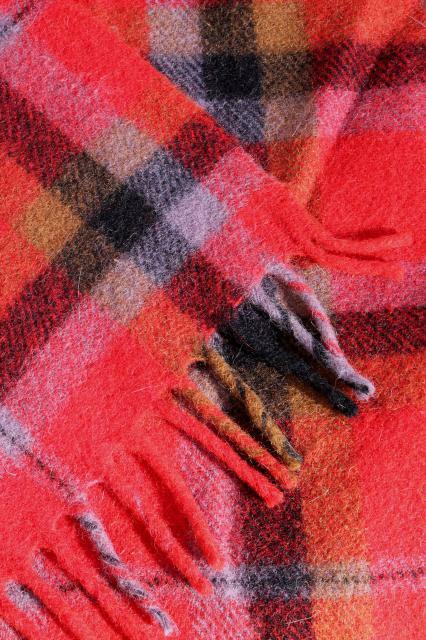 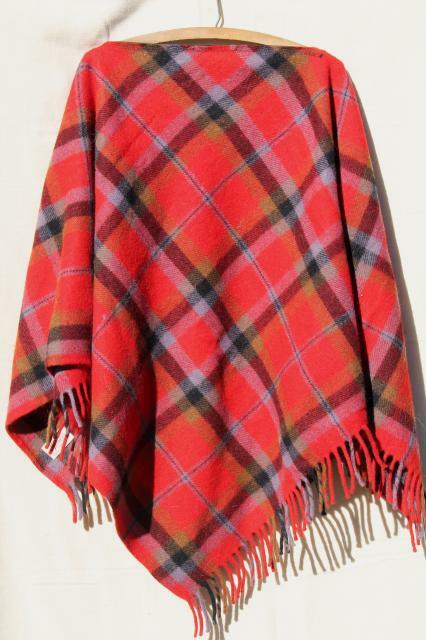 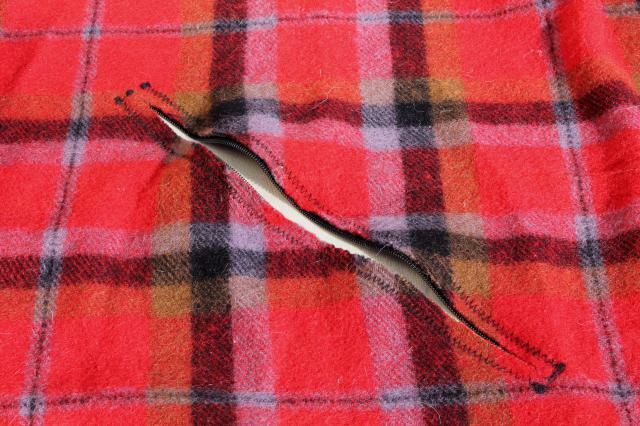 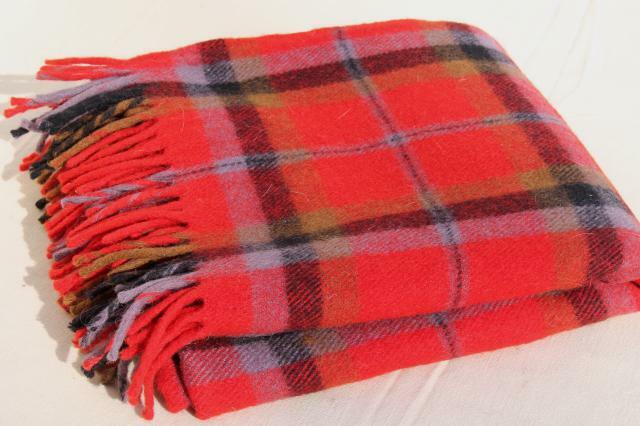 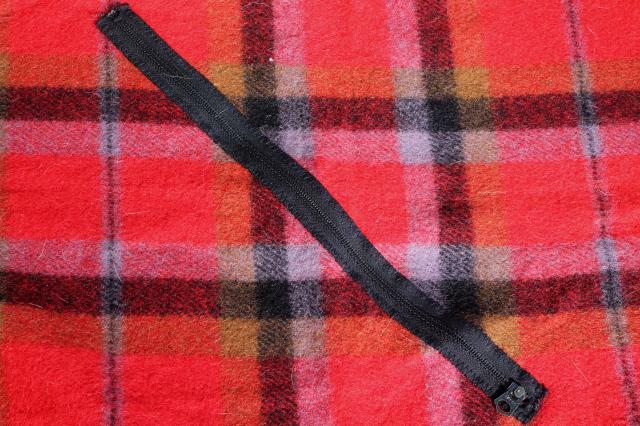 It's red tartan plaid wool with soft wool fringe, thick and warm. 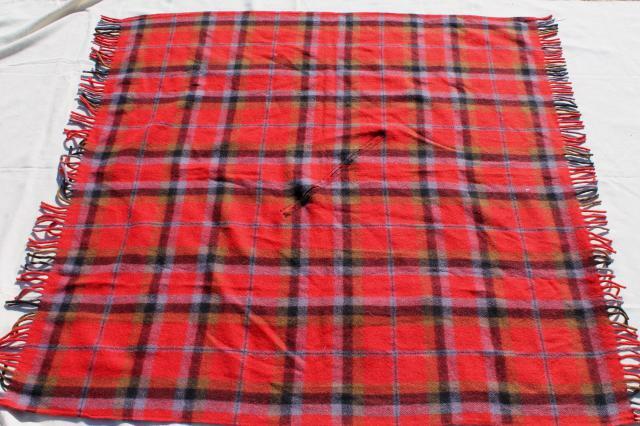 Condition is very good, it doesn't look as though this was used very much if at all.